The Frank Mason Etchings, Prints and Pictures below of Maritime, Shipping and Seascapes represent a small selection of the many works available. 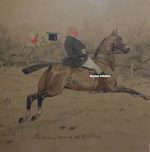 If the is anything by Frank Henry Mason that you’re looking for then please contact us on 07889 800857. Frank Henry Mason was born in Seaton Carew, Hartlepool, County Durham, England on 1 October 1875, the son of a railway clerk. He was educated between 1880 and 1882 as a cadet at the HMS Conway Naval School at Birkenhead. On leaving HMS Conway, Mason spent time at sea then trained with Parsons as a marine engineer for steam powered ships working at Hartlepool, Leeds and Scarborough, eventually settling in Scarborough around about 1894. Frank Mason had been interested in drawing but had no formal training in art. There was however a strong artistic community in Scarborough at the time. He studied at the Scarborough School of Art with Albert Strange and made regular trips to Staithes to meet and socialise with the arts community there. By 1890 his work had advanced to the point where he received commissions from art dealers, and around 1898 he decided to quit marine engineering and take up art full-time. In 1901 he became a founder member of the Staithes Art Club. He married his wife Edith in 1899. He had lived at Blenheim Terrace in Scarborough but relocated the short distance to lodgings in North Marine Road. During the First World War, Mason was appointed shipping war artist in the RNVR as lieutenant in command of a motor launch in the North Sea, and Egypt. The Imperial War Museum holds 56 of his paintings from this period. On returning from the war, Mason worked with the community at Ebberston Hall near Scarborough and he travelled abroad extensively undertaking an extended European tour. 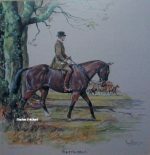 He painted many subjects generally in water colour. During the 1920s and 1930s he designed poster artwork for Great Northern Railway, Great Western Railway, London, Midland and Scottish Railway, North Eastern Railway, London and North Eastern Railway, British Rail and Underground Group railway companies and ocean liner companies. Frank Mason was elected to the Royal Society of British Artists in 1904 and elected to the Royal Institute of Painters in Water Colours in 1929. Mason had exhibitions of his work at the Royal Academy from 1902 onwards. His work has been included in an exhibition in Liverpool and in 1973 there was an exhibition of his work at the National Maritime Museum. As well as the Imperial War Museum, Mason’s work can be found in numerous galleries around the country – at Cartwright Hall Bradford, in Dundee, Hartlepool Art Gallery, and at Whitby. Frank Mason wrote the book Ashore and Afloat (1929) about his water colour technique. With Fred Taylor, he wrote the book Water Colour Painting.